There are many data loss scenarios that threaten business continuity. Damaged hard drives and devices, system crashes, stolen laptops, accidental deletions, and hijacking by malware can lead to customer dissatisfaction, halted operations, and lost profits. They can even mean end of the business. Small-and medium-sized businesses (SMBs) need a data backup strategy to protect themselves from data loss and preserve business continuity. This forms a part of a company's backup and disaster recovery (BDR), which is necessary to protect business critical data. Consider that 93% of businesses that lost access to their data for more than 10 days filed for bankruptcy within a year (National Archives and Records Administration). For SMBs, there are many data backup solutions, including software packages, hardware, and services from enterprise providers. As a business owner, you need to know what it takes to have an excellent data backup system, so your business can take the steps to set one up and choose the right provider that can help. You business’s data should be ranked according to a metric of priority. Data that needs to be recovered first are the parts of your information infrastructure most critical to your business. It follows that BDR resources are allocated to protect and recover some data with more urgency than others. Likewise, every data backup strategy requires that an SMB and its enterprise provider establish a backup policy. This policy governs what data needs to be backed up, defines the frequency and timing of backups, identifies the tools and technology for backups, and determines the process for accessing backup data. These policies should be easy to implement — the more difficult, the more prone to mistakes. They should also be set up in a way that lets backups run seamlessly and without disruptions. Recovery time objective (RTO) and recovery point objective (RPO) define how fast and how much data can be recovered or accessed in case of a disaster like a system crash. RTO is how quick business continuity must be restored to avoid unacceptable consequences, while RPO is the minimum frequency of backups. For example, a company may require its servers to be backed up every 15 minutes and desktops to be backed up at night. This defines what data the company can lose and need to recover. The correct backup software and storage medium can help define RTO and RPO and radically increase recovery times, which is why you should invest in technology that speeds up the process of finding and accessing data that's been backed up. Any good data backup strategy will establish a regular backup schedule of critical business data. By definition, data backups are periodic short-term images of data. These regular backups are based on the RPO. Data should be protected even during the backup process. Select a backup provider that can provide end-to-end encryption of data that protects it from being monitored and intercepted during the transmission process. Invest in resources or providers that protect backed-up data from unauthorized access, but allow access at any time and from anywhere to entrusted business users through secure channels. When data is stored, access to it should also be protected by security keys, entrusted to a backup administrator. This rule states that there should be at least three copies of data available, at least two storage devices, and at least one storage device at an off-site location. Storage should be through reliable or high-quality hardware and software systems. On-site storage media includes network attached storage devices (NAS), magnetic tape backups, and file servers. Cloud services providers like Sabio IT now offer SMBs among the most cost-efficient choices for data backup and recovery. The on-site storage location should be protected from fire and theft, while an off-site location should be easily and regularly accessible. This may include a secure off-site data center such as a colocation provider. A cloud backup service, another off-site location, provides quick access and almost instantaneous data recovery, as well as protects data from physical threats such as fire. 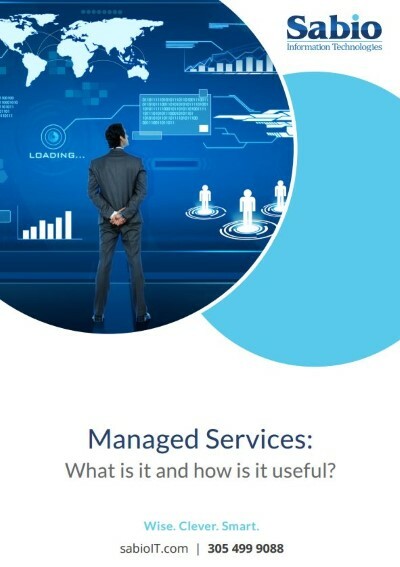 It minimizes up-front investments and IT management costs. Along with regular backups, a good data backup strategy is built on routine testing, which determines if data is easily recoverable and accessible and whether the provider can recover data adequately within an optimal time frame. Routine or regular testing will also help identify defects in existing systems and develop strategies for improvement. And since all businesses are unique, your company’s backup strategy should be customized based on your specific needs. Plan for growth. A data backup strategy should consider annual growth, which entails assessing whether you can easily and cost-effectively scale your on-site or cloud storage. For instance, cloud solutions such as Disaster-Recovery-as-a-Service (DRaaS) present scalable infrastructure that anticipates data growth. Ever-increasing volumes of on-site data may require investment in storage conservation technology, such as data compression and deduplication. When formulating a data backup strategy such as choosing storage media or an enterprise provider, consider how quickly data can be backed up. Speeds should be quick enough that the data backup process should be unnoticed by end users. Updates should take only a few minutes a day, because slow backups can generally be a nuisance and cause network slowdown. Consider the cost to acquire and operate a data backup strategy. The total cost of ownership includes energy efficiency, maintenance, and scaling up the system to manage data growth. This naturally includes storage media and location. Each storage media and location has its cost advantages. For instance, tape backup is a more cost-effective alternative to cloud services or off-site servers. Cloud services eliminate a lot of costs but introduce new ones as well. Does your business have an effective data backup system in place? Does it have the necessary policies and protections to ensure quick data recovery and business continuity in the event of a disaster? Learn more about protecting your SMB from data loss with our services. 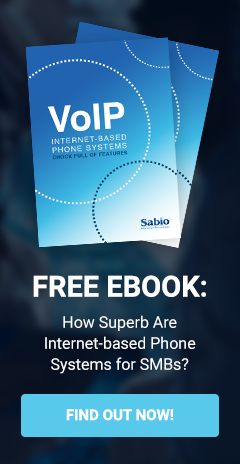 Contact Sabio IT today.